Robin Fogarty is president of Robin Fogarty & Associates. She has a doctorate in curriculum and human resource development from Loyola University Chicago. A leading proponent of the thoughtful classroom, Fogarty has trained educators throughout the world in curriculum, instruction, and assessment strategies. 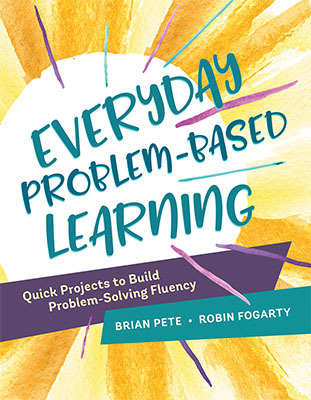 Fogarty is the author of numerous publications, including Brain-Compatible Classrooms, Ten Things New Teachers Need to Succeed, Literacy Matters, How to Integrate the Curricula, and Informative Assessment. Robin Fogarty and Brian Pete are the coauthors of Twelve Brain Principles That Make the Difference, Nine Best Practices That Make the Difference, The Adult Learner, A Look at Transfer, Close the Achievement Gap, From Staff Room to Classroom, Supporting Differentiated Instruction, How to Teach Thinking Skills Within the Common Core, School Leader's Guide to the Common Core, and more. Their book The Right to Be Literate was named the 2017 Teachers' Choice Award Winner for Professional Development.